With Alpha House in mind, a unique hand-stamped mountain necklace was created by CoutuKitsch. The mountain range symbol represents “overcoming obstacles and challenges as well as being a prominent symbol for Alberta,” (CoutuKitsch). 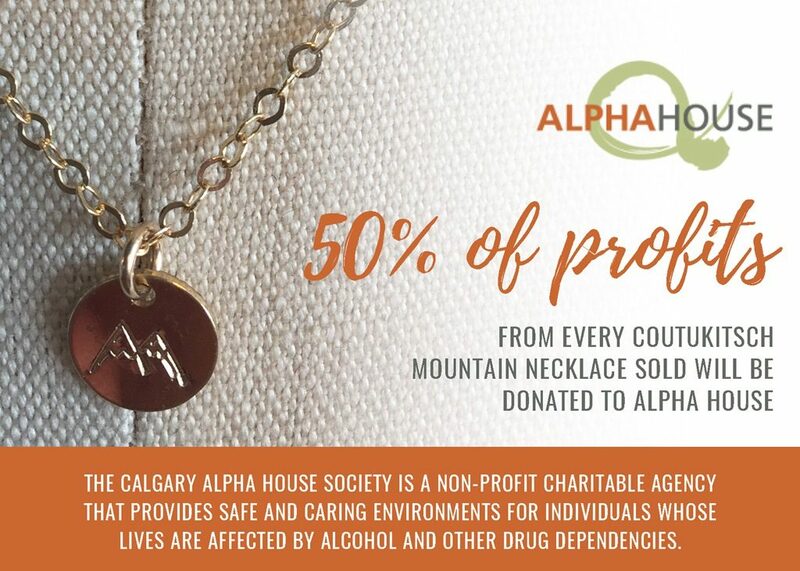 Half of the profits from the sale of the necklaces will be donated to Alpha House. A BIG thank you to the team at the The Livery in Inglewood who came up with this creative way to raise funds for our clients. To support this project or learn more, visit CoutuKitsch online: https://www.coutukitsch.com/products/mountain-necklace. Live a life that matters. These are the words Robin Spooner shared at her sister Krista’s funeral in 2015 and they are the same words on a t-shirt she’s designed in memory of her sister to help raise money for Alpha House. 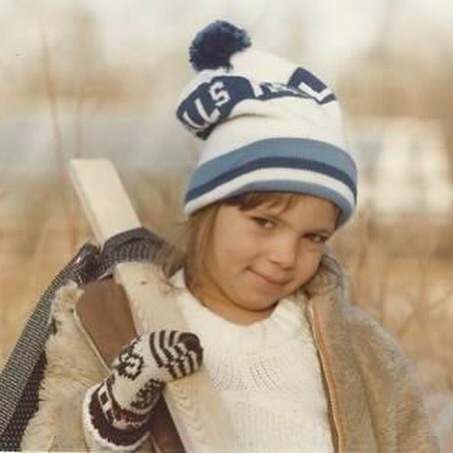 “Krista lived a life that mattered. She was an incredibly kind, generous and caring person. Even when she was living on the streets, if she had a quarter in her pocket, she would gladly give it to someone who needed it more. She had a huge heart,” says Robin. Our sincerest thank you to the Calgary Emergency Department’s. 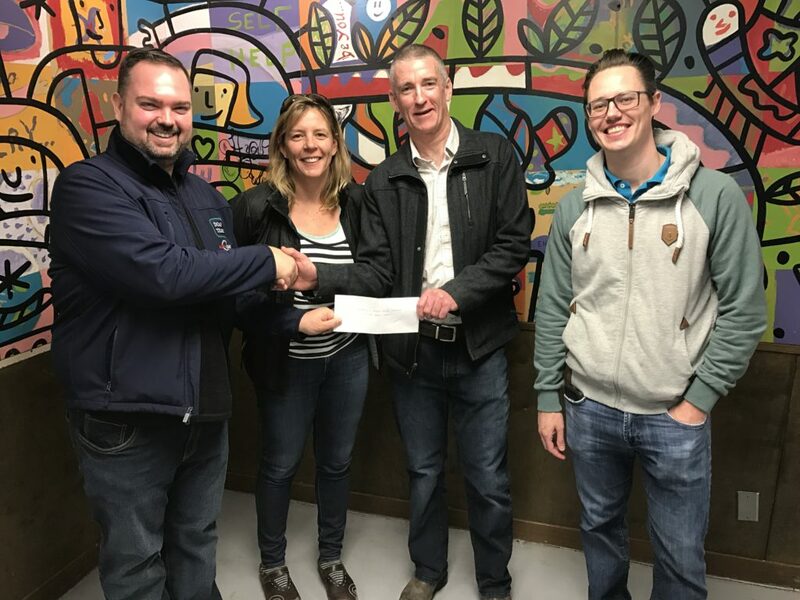 Jen, Stuart and Chris who are Emergency Department doctors team presented Alpha House with a cheque for $5,000 in support of the DOAP (Downtown Addictions Outreach Partnership) Team. Funds were raised by the Department’s staff at their gala dinner celebrating clinical excellence. Thank you Calgary Emergency Department’s. We are incredibly grateful for your support and all the good work you do in the community! We have teamed up with Value Village for a FUNDrive in October and need donations of gently-used clothing and household items to help us raise funds for much needed winter items and to increase our client fund. Items will be received for the entire month of October 2017 at Calgary Alpha House Society – 203 15th Ave SE. We will gladly accept donations for our FUNDrive from 7am to 7pm; please come to our front door on 15 Ave SE and our staff will be happy to assist you. If you have a large amount of goods to donate, please call ahead so that we can be ready when you arrive, 403-234-7388 ext# 1. Our goal is to raise $1000 in funds by collecting 400 bags of clothing. Our partnership with Value Village will help us to gain access to clothing all year round through the Get to Give Program. Acceptable donations include clean clothing, shoes, accessories, books, CDs, DVDs, linens and working small household items the size of a microwave or smaller (no furniture please). 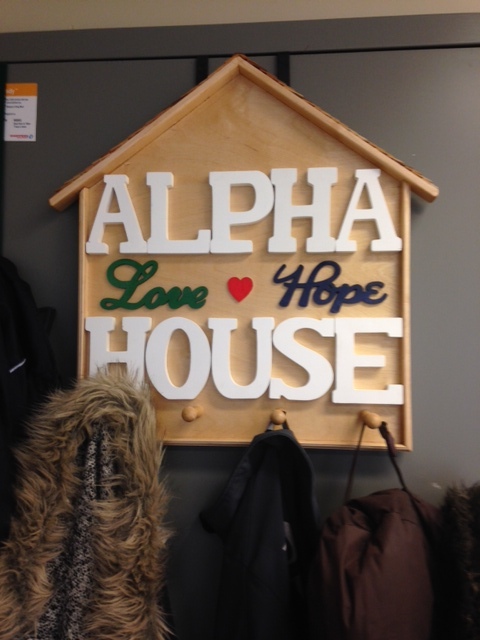 Calgary Alpha House Society is holding the FUNDrive in partnership with Value Village; a global thrift organization. Items collected during the drive will be sold to local Value Village stores and we will receive funds towards goods we need for our clients. 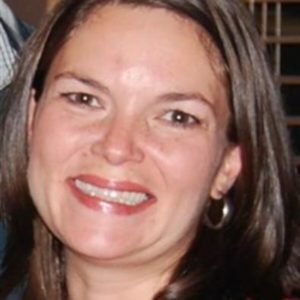 This has been a very sad time at Alpha House as we’ve mourned the loss of our dear colleague and friend, Chrissy Archibald. And yet in our sadness, we’ve also celebrated Chrissy’s incredible spirit of compassion, her kindness, and her ability to connect with people of all walks of life and offer them hope. In these difficult days, we’ve also been overwhelmed by the outpouring of support from our community, both here in Calgary and from around the world. The #ChrissySentMe movement — that evolved from a statement started by her family— became a venue to honour her life’s passion. It touches us at Alpha House and extends to other organizations serving marginalized people across Canada and throughout the globe. Thank you to all the individuals and organizations who shared words of encouragement, sent flowers, volunteered or made a donation in honour of Chrissy. Your kind gestures show that love always wins. 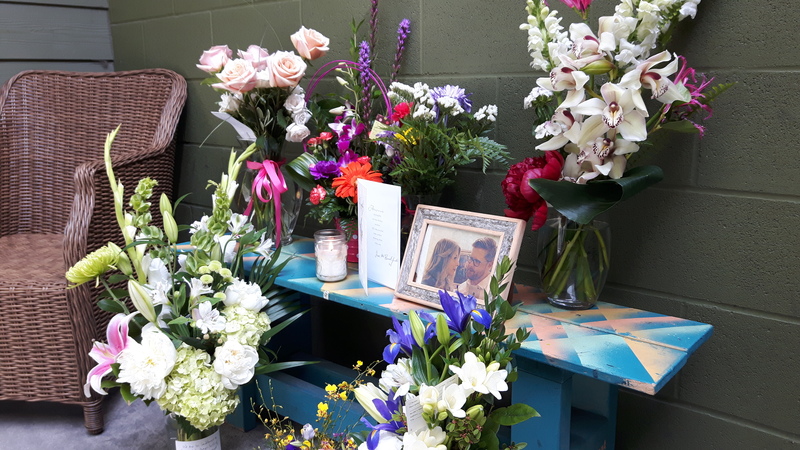 To our clients, who paid tribute to Chrissy’s impact and touch on their lives, thank you for sharing your memories and encouraging us as we grieve. To the media who told Chrissy’s story with sensitivity, thank you for understanding how difficult those early hours and days were as we tried to make sense of this tragedy. And finally, to Chrissy’s family, we are so deeply sorry for your unimaginable loss. We will continue to find ways to honour Chrissy in our work here at Alpha House, and we feel her spirit with us. She will be remembered always.